San Antonio might be known better for its Latin flavors, the Alamo and its neighboring historic tourist-laden Riverwalk area of downtown, but few tourists venture beyond the riverboats and history and delve into the rest of the city. Why? Well, unless you’re a local or in one of the various military installations around the area, there isn’t really that much to do. Except for us retail buffs, of course. 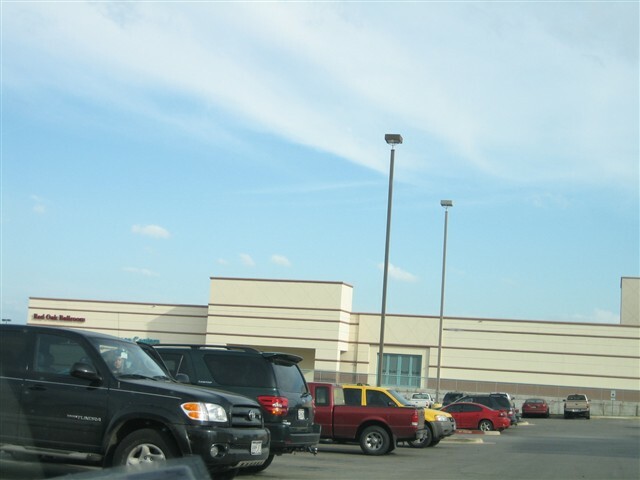 San Antonio is possibly one of the most over-malled metros in the entire country, and its numerous vacant or recently imploded shopping malls speak to this. San Antonio is typical of Texas cities, and of Sun Belt cities in general in its growth patterns. Unfettered growth, often with little to no zoning regulations has run rampant for several decades and suburban sprawl exists just about everywhere. In fact, San Antonio has become the second largest city in Texas and seventh largest in the country; however, due to the fact that the city has few suburbs, it is only 30th in metropolitan area rankings. Because of the unfettered growth in the latter half of the 20th century, a lot of retail strips were constructed. One of the most prolific of these is the I-410 belt around the city, but others exist along the other freeways and major thoroughfares. 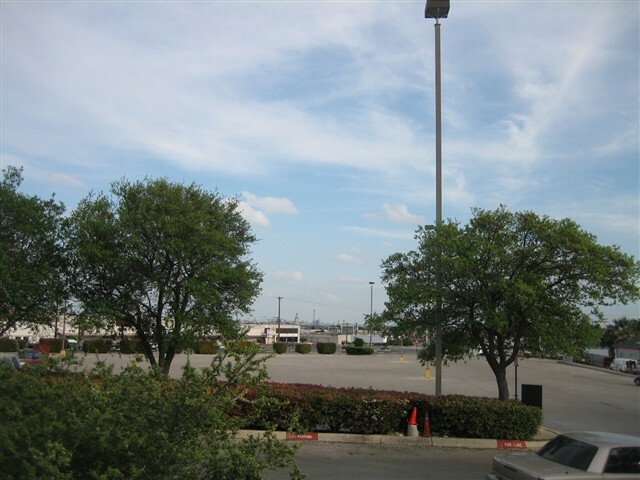 Several of the city’s malls were also constructed along this beltway, including the Crossroads of San Antonio, located on the northwest side of the city near the intersection of I-10 and I-410 along Fredericksburg Road. 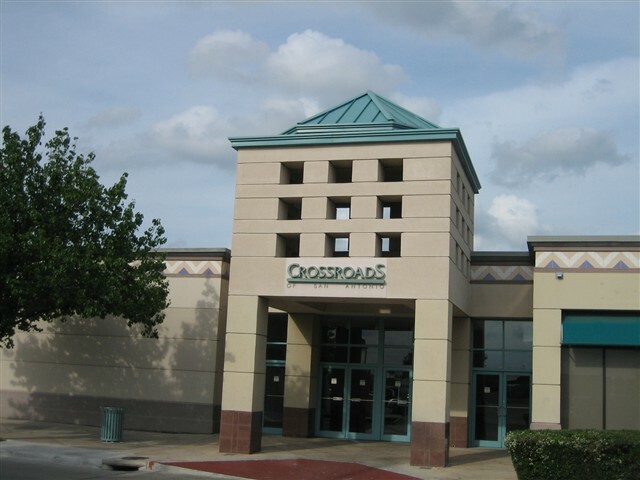 Crossroads opened in the 1960s as Wonderland Mall and quickly became a super-regional destination for the entire area. From what we can tell, the mall chugged along and was fairly successful for quite a few years. However, as fickle as the retail market is, San Antonians shifted their shopping preferences to other centers, specifically the two which surround Crossroads on both sides of I-410. 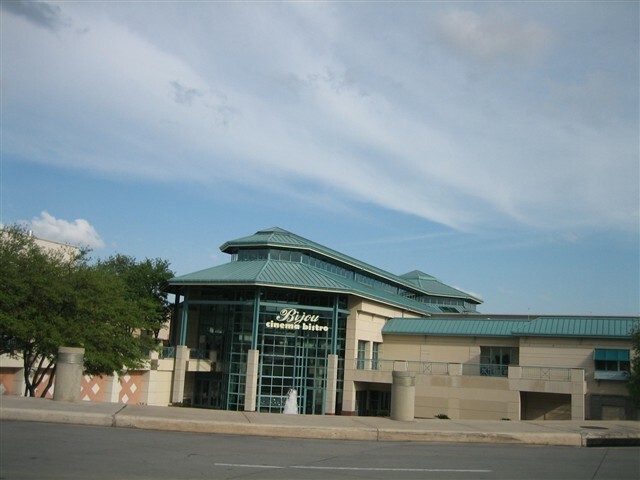 Located within five minutes on either side, both Ingram Park Mall and North Star Mall have retained shoppers’ fancy in recent years, the latter being San Antonio’s most successful retail destination for some time now. Crossroads is also unique in that it has been profiled since 1986 by the Urban Land Institute in a case study concerning the center’s economic viability over time. 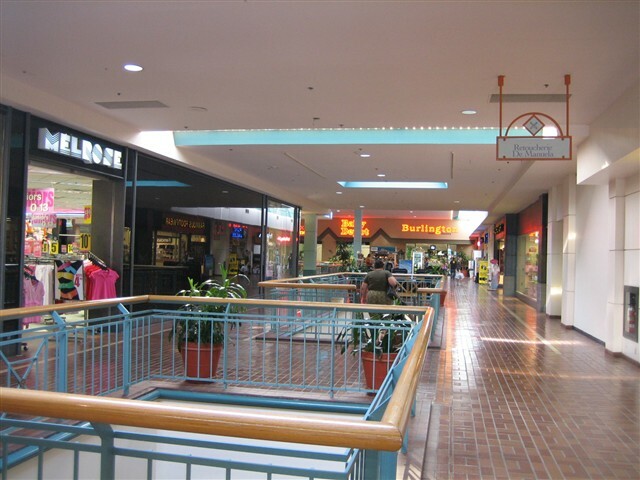 The mall changed dramatically starting in the late 1980s due to swirling competition from better-positioned malls and continued to evolve into what it is today: a value-oriented mall. As is typical with the downfall and conversion of enclosed super-regionals to value-oriented or obsolete malls, the puzzle pieces don’t seem to fit right. This was definitely the case here, as while much of the mall has remained viable through off-price and local merchants and anchor stores (ie. Burlington Coat Factory, Hobby Lobby, Stein Mart), good portions of the mall remain vacant today. Take a look at the study, it also indicates the competition from other malls inspired the center to renovate and expand in 1987 before succumbing to the competition in 1991 and shifting focus to being an off-price destination. Today the mall exists as such, complementing to the malls on either side of it in its value niche. But for how long? 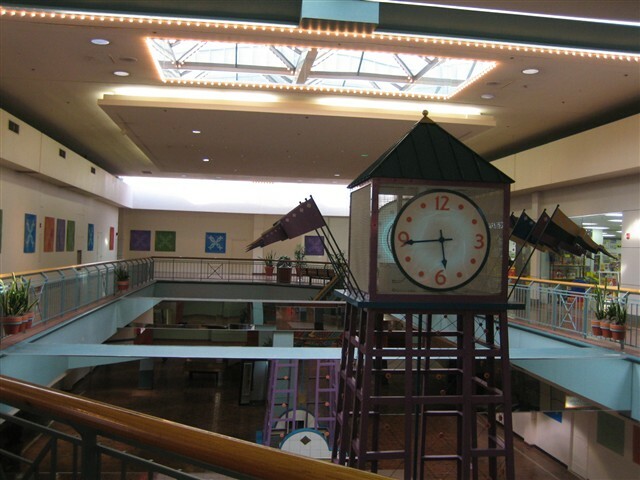 In 2005 plans were announced to refurbish the center and reposition it to be more inviting to customers. Can we say comfy couches and carpeting? 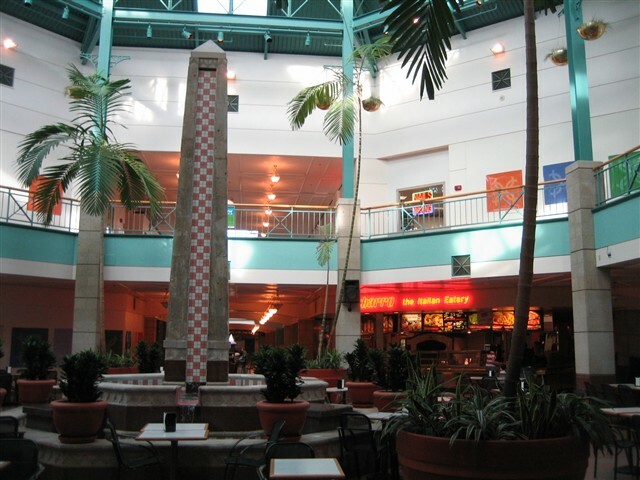 In terms of decor, Crossroads is currently looking rather aged except for the 1987 expansion featuring the food court and its own wing, which looks very much like it doesn’t belong with the rest of the earth-toned features occupying the rest of the mall. Its two levels are set up rather interestingly in order to fit into a rather tight footprint between Fredericksburg Road and I-10, yet the mall is still rather large at 700,000 square feet. Take a look at the pictures we snapped in April 2007. 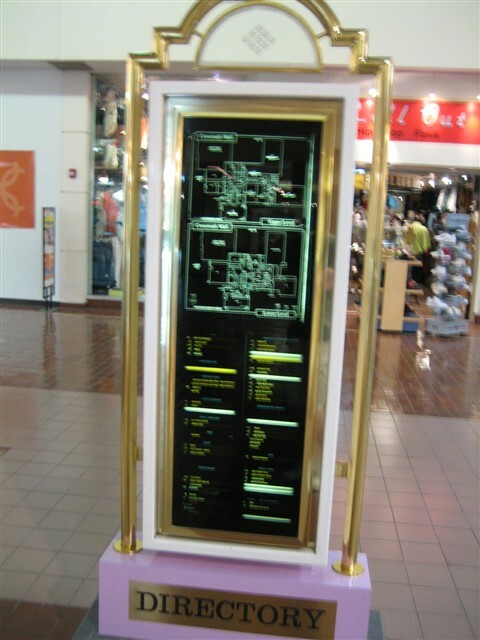 Tell us more and let us know the detailed history of the mall, including your own personal stories. Kewl. 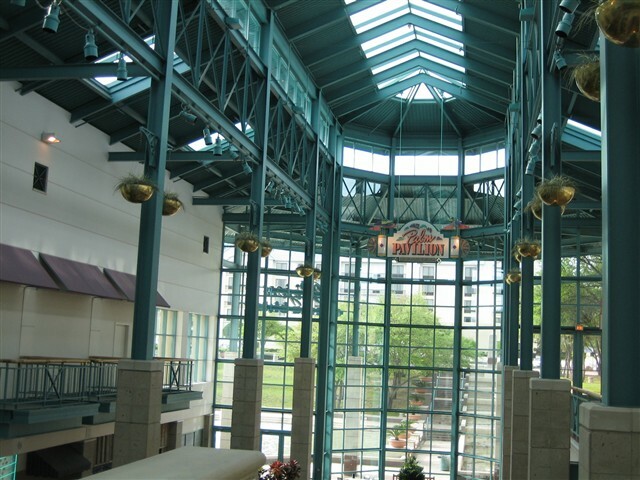 San Antonio has a lot of malls, including a large open-air (but not lifestyle) mall near Six Flags and an enclosed mall overlooking the riverwalk. San Antonio is where I saw the last Service Merchandise ever. It was in May 2003 and it was still lit in the new SM logo! It’s long gone by now. I can tell you some of the original anchors were Wards and Handy Andy Supermarket. At somet point, a Frost Bros. (later Joske’s, now Burlington) was added. If I’m not mistaken the original mall was one story. First Frost Brothers, then Rhodes then Burlington Coat Factory. About that title image: looks like an elderly person outpatient center from the outside. It’s not a bad mall, but boy is it empty! Judging exclusively from the photos, I thought this was the interior of a community college on a saturday. Boy that’s an erie picture when there isn’t a store or soul around. I’d bet this center’s days are numbered. 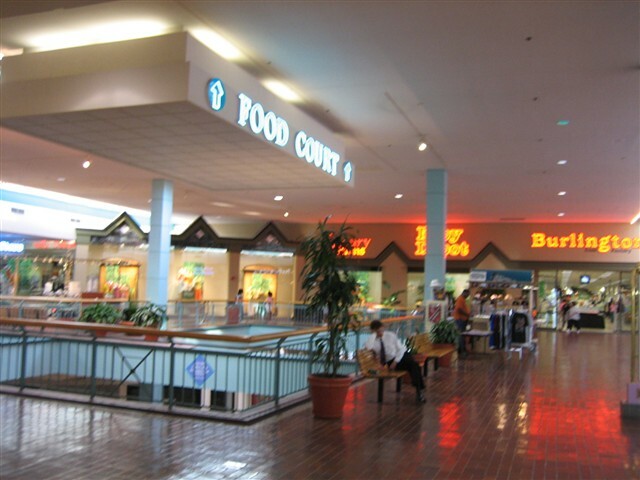 You would never be able to tell it was America’s 5th enclosed mall by looking at it today…. When this mall first opened in the 60’s, it was awsome. The glass elevator alone wowed many people. My family would drive the miles to go there. 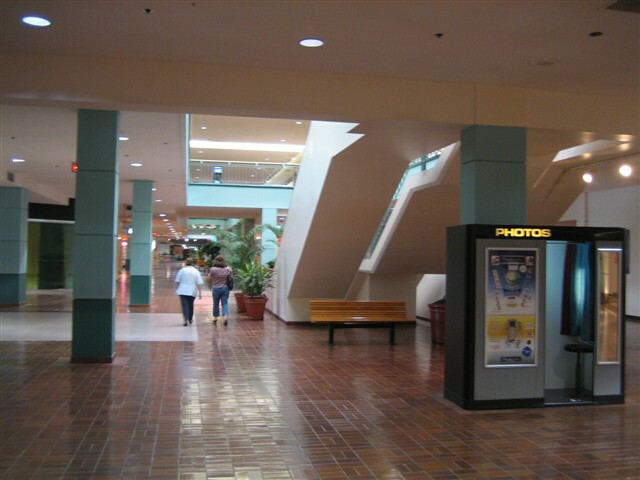 Then the newer malls began to compete and the area surrounding Wonerland/Crossroads deteriorated. There was a great deal of effort put into reviving this mall in the late 80’s. For a while, it looked like maybe there was some hope, but a new name and all the sprucing up and fountains could not shake the long held image of the mall being old and lower class. North Star was a big power to pull shoppers to its upscale stores. When Target announced it was buying the Ward’s building and would contruct one of its super stores on the footprint, there was excitement that a better anchor would bring in customers. Then Target decided to build its structure such that it did not open into the mall and actually forced customers to park and enter away from the rest of the mall. It is an effort now to use both Target and the mall due to the great walking distance. The mall today is depressing as the martial arts schools and teaching businesses have begun to move in while large sections of what should be retail store fronts are covered with mall facade walls. Only about three food vendors are left in the food court. 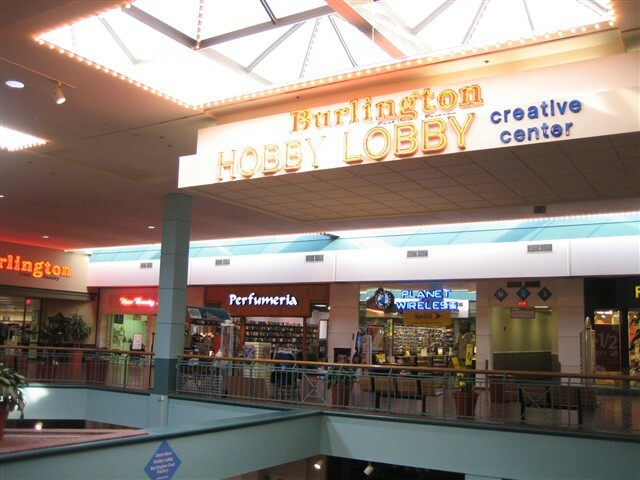 However, the stores that are there seem to have a loyal set of customers and Burlington and Stein Mart are good (not great) anchors, so the mall probably will continue for many years to come. 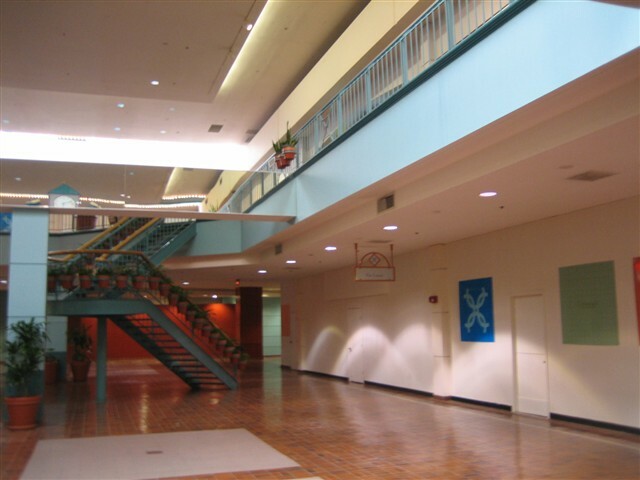 Crossroads Mall’s biggest problem became location. 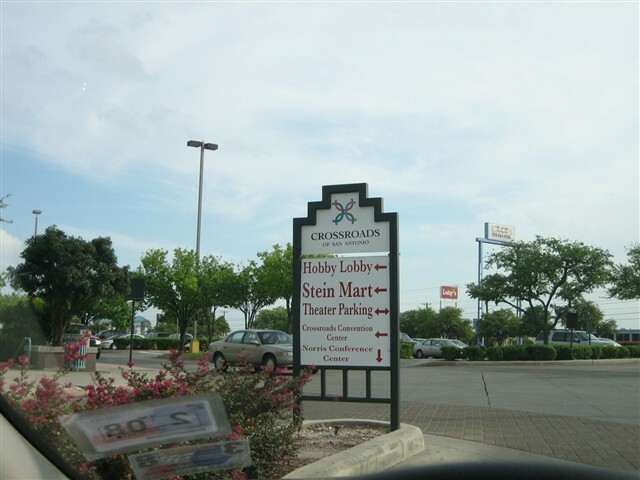 It was situated at the intersection of two major freeways in San antonio that in it’s early days brought shoppers in. Then San Antonio began to explode in population and the freeways weren’t able to handle the traffic. A large scale construction project that lasted about 5 years at the intersection made it difficult for people to get to the mall and it suffered a loss of business that it has never recovered from fully. The movie theatre was renovated several years ago and was supposed to reopen as an “arthouse” theatre. During the grand opening they showed classic films of the past and I attended many of the showings with enthusiasm thinking (mistakenly) that I would be able to see films that I wasn’t able to see during their original release as I wasn’t born yet or perhaps some cult classics that are worth repeated viewing. Sadly, this turned out to be a gimmick to get people to come see the new theatre and was over with about a week later. While the occasional independent new release does play there it is mostly the same films that you can see at other theatres… Luckily, another chain that DOES cater to film buffs and pretty much invented the gimmicks that Crossroads Theatre tried to copy (poorly) has moved into town and gets my business now, even though it is about 10 miles futher from me than Crossroads is. @Scotter, what movie theater are you talking about? I was under the impression the only movie theater in town to screen anything like the films that the Bijou at Crossroads does was the Bijou at Crossroads. If you’re talking about the Alamo Drafthouse, that’s just another multiplex that screens the same stupid Hollywood mainstream fluff, with the extra “kick” of getting to eat meals while watching yr brainless flicks. Granted, pretty much the only reason I can see anyone going to Crossroads these days is for the Bijou…. Anyone remember when the present Burlington Coat Factory was Rhodes? I remember when Rhodes was there ,I had a charge card with them. I was lucky to have gone to the Grand Opening of Wonderland Mall and see the fireworks. They were lit up next to the under construction IH10. We bought candy necklaces and wax juice drinks from a Five and Dime store on the lower level. I got to work at the Wonderland Mall Handy Andy as a bagger in 1969 for the student rate of $.90 per hour. @Rudy, I remember when we worked together! The Thursday late shift was really fun! @Rudy, and @Pauline, I remember you folks from the Handy Andy Thursday late-shifts! Ya’ll were baggers and I was the cashier. Remember when Rudy stole that one lady’s walker and our boss blamed me for it? I WILL NEVER FORGIVE YOU RUDY. LOL jk. @Mel, and @Rudy, remember that zombie cage we found? That was so weird! No really, this mall is rad. I remember when I worked at the Handy Andy as a bagger for 0.90 cents an hour. @Mall, Sure, it might be old but it’s a beautiful mall and it holds a lot of history. Some people take great pride in that kind beautiful history. It’s gross how greedy people can be. I travel to San Antonio frequently for work (Air Force). 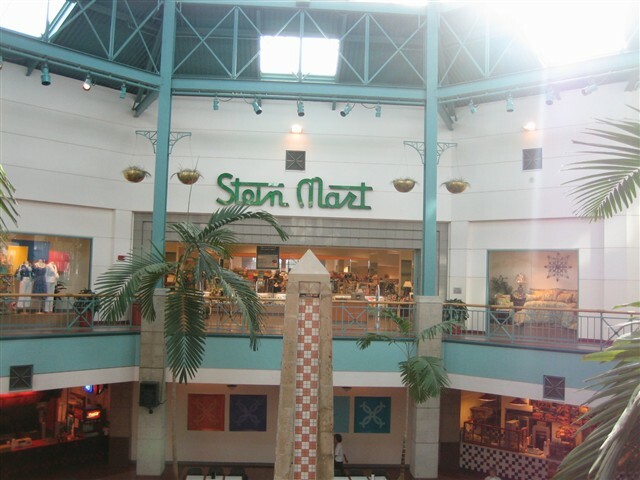 I like Crossroads Mall for two reasons: Stein Mart and the Bijou Cinema. The Bijou shows many foreign and independent films, plus you can order meals and there is a bar. I lived in San Antonio in the mid-90s, and the mall was in decline then. Now, except for the stores I mentioned, it’s a pretty dead mall. I have wondered how the food vendors and smaller stores manage to stay open. Recently I noticed they’ve been offering live music on the weekends out by the fountains and some new store labeling as “Wonderland” has gone in on the exterior. After reading the history of the mall, now I understand the name choice. Perhaps these are signs of efforts to revitalize the mall. I remember going to the wonder land shopping center years ago across the street from the mall with my Grandmother shopping for Christmas shopping for Christmas items and the Christmas music was going and the Air was Crisp and felt clean. The excitement was in the air. It was a good time. Speaking of the malls, I think they used to have a store called Woolworth Woolco in a lot of them and that was a staple store to the real world where you could buy anthing. But that was the last of the Staple Stores that held on. Now they mostly are only expensive items only tuned at buying a very few items that a person would use in their lives. I think many of the marginal malls could come back to viability with a couple tastefully placed stores of this kind. Wonderlan of Americas it’s a pretty dead mall. I would invite you back to this location so you can see the redevelopment of this mulit-use center. 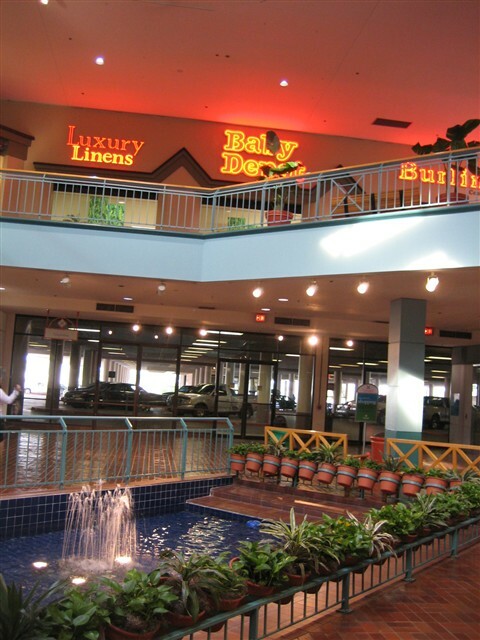 We also have several archived original articles of the beginning of this mall to share as well.